We ship within the Continental U.S., Alaska, Hawaii and Countries listed below. If you do not see your country listed, please contact us via E-mail to check and see if we can offer shipping to your location before ordering. Please be aware we no longer ship to GREECE, ITALY or RUSSIA due to cosmetic regulations and special FDA paperwork which are beyond the scope of our International shipping capabilities. We DO NOT ship to FREIGHT FORWARDING ADDRESSES, GHANA, INDONESIA, MIDDLE EASTERN NATIONS, NIGERIA, NORTH KOREA, PHILIPPINES, or THAILAND. WE RESERVE THE RIGHT TO CANCEL ANY INTERNATIONAL / DOMESTIC ORDER WE DEEM SUSPICIOUS OR VIOLATES POLICY. We are unable to accept Special Delivery Instructions for USPS. If special delivery is needed then UPS or FedEx will be used, and additional shipping and handling fees will be charged. * IRELAND NOTICE: Unfortunately, we can no longer offer FIRST CLASS UNINSURED SHIPPING to Ireland due to non compliance with International USPS electronic labeling and delivery confirmation. We apologize for any inconvenience this creates. * Two Standard First Class Mail UNINSURED Rates are available for orders not exceeding $110.00. Please be aware that this method provides NO tracking, and is at customers own risk. Please see exceptions to items allowed in the shipping table above. Extended delivery time frames can occur. If your order total exceeds the $150.00, please select the INSURED Priority Method so we can share in the shipping expense. ** If your order is between $110.01 and $149.99 and / or includes Skincare, INSURED Priority Mail is necessary. Due to International shipping destination and weight variables, rates will fluctuate according to product weight totals combined with package destination as reflected in the rate table. *** At time of an International order you'll want to select the INSURED Priority Mail Shipping choice at the reduced rate if your order meets the minimum purchase of $150.00. Shipping fees for Canada and Mexico will be reduced to the flat rate fee of $23.00, while all other countries will be reduced to a $32.00 flat rate fee. The difference in shipping fees will be paid by Sterling Minerals. Final USPS rates are selected and calculated at time of checkout. THESE RATES / OFFERS EXCLUDE FEDEX & UPS! PLEASE SEE INTERNATIONAL SHIPPING POLICY BELOW. All shipping costs are approximate and subject to change without notice as regulated by the United States Postal Service and may not be accurately reflected in this chart. All Orders Are Shipped Using USPS Priority® Mail. Choosing Insured method with Signature is the safest delivery of your items in the event you are unavailable to receive your package. Sterling Minerals is bound by the rules and regulations of our carrier partners. If you select uninsured shipping option, then this is accepted at your risk of loss or theft. Your address is electronically filed with USPS for accuracy on all orders. Once delivery is confirmed package has reached the destination address, this will conclude the transaction. Any problems with receipt of package will fall to USPS since delivery issues are beyond our control once items are processed out for shipping. Carrier decisions for leaving a package or holding it at local post office for collection are at their discretion and Sterling Minerals will not be liable for any decision USPS makes in regard to your package. During checkout the FREE shipping option appears automatically when your purchase total is $65.00 or more. Please select this shipping option at checkout to take advantage of receiving Priority Mail Insured at our expense. For added protection of receiving your package if shipping to workplace or are unable to be available for delivery, we recommend selecting Ship Insured w/ Signature to prevent loss or theft. Important Notice: Selection of one of the other paid shipping options WILL NOT expedite your order. PLEASE BE AWARE, FOR ORDERS OF $250.00 OR MORE WE WILL AUTOMATICALLY SHIP PRIORITY INSURED + SIGNATURE CONFIRMATION. Delivery time frames are estimates for Priority Mail and delays or unforeseen circumstances can and will happen on occasion. During the Holiday Season we can experience delivery time frames extended to as long as 7 to 10 business days. REQUESTS FOR CARRIERS (FEDEX, UPS) VOIDS ALL SHIPPING OFFERS AND YOU WILL BE INVOICED THE BALANCE OF ADDITIONAL SHIPPING & HANDLING FEES VIA PAYPAL. UNINSURED First Class Mail: International orders going to Canada / Mexico and all other Countries with the exception of IRELAND, (non compliance with USPS Electronic Shipping Labels and delivery confirmation) can be shipped UNINSURED Standard First Class Mail. The selection you choose must meet the ordering parameters we require in our shipping table. Standard First Class Shipping is ALWAYS Uninsured. We do not guarantee a tracking legend or a delivery confirmation will be provided. This method can only be chosen for orders not exceeding $110.00 and this method is at customers own risk. Please see excluded items within the shipping table. 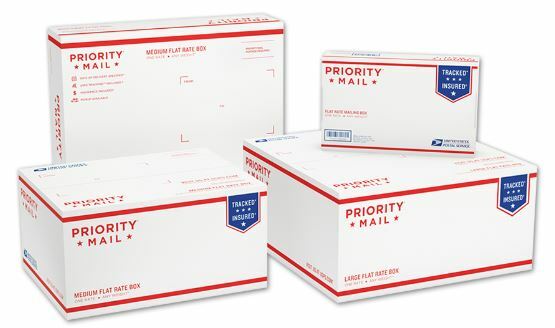 INSURED Priority Mail: Other orders or those meeting purchase totals of $150.00 or more or are including skincare or brush items depending on order value, INSURED PRIORITY MAIL OR REDUCED INSURED INTERNATIONAL PRIORITY SHIPPING is necessary for safe delivery. First Class Mail shipping time frames of worse case scenario, can also be extended to as long as 14 - 30 days for delivery depending on destination and other unforeseen delays such as weather or Holidays, and are beyond our control. If the incorrect shipping method is selected and the order DID NOT qualify based on our minimum order guidelines, then the order will be CANCELED and we will notify you to please place another order selecting the accurate shipping rate best suited for that particular order. Defective Claim: We will have you return your item directly to us via USPS (initially customer's expense) for inspection. Upon inspection, if we determine damage was caused by shipping or the item proves to be defective, we will gladly reship a replacement (our expense) and a credit for your return costs of the damaged or defective item will be placed on your account toward your next purchase. In the interest of time, we may waive the return of damaged or defective item(s) and accept photo evidence with a credit in portion or whole of purchase price placed on your account depending on the type of claim. Please photo catalog the item exactly as you received it right out of the packaging for best assessment. Domestic or International: If Domestic Uninsured Priority Mail or International Standard First Class Mail is selected, this is at customers own risk against claiming loss, theft or damage. DOMESTIC: Due to the nature of organic, natural ingredients within our ONATI Skin Care, we recommend purchasing your skincare items before our summer months. To shorten shipping time frames, any ONATI skin care item included in an order that is placed after mid week, that order will be held until the following Monday. This is to avoid USPS Priority weekend processing delays. Our products have been successfully delivered domestically for many years without any weather related issues. However, in the event of a USPS delay of your order beyond our control, we cannot guarantee against any viscosity issues with the skincare products during the summer months. INTERNATIONAL: In the event any skin care item is included in an International order, we typically will ship these Priority International depending on your region. We recommend that overseas orders be placed during times of mild or cold weather, and if summer is approaching, then purchasing enough to carry you thru the summer is our best advice. Delays in customs can and will happen and in the event skin care is improperly stored while in the care of customs or the postal service of that nation, it could potentially cause a viscosity issue with the products, such as separation thru melting while sitting in a customs warehouse. Customs care of your package is beyond our control and we will not be held responsible for any replacement, credit or refund. The customer accepts this possibility during periods of summer heat and agrees to ordering skin care items at their own risk. Sterling Minerals is unable to assist you with fees and we cannot collect any of these fees in advance, nor quote them. Please contact your local Customs Office or Postal Service for determining if any taxes, duties or brokerage fees will be due prior to placing your order. Delivery confirmation signature may be required. Depending on the Country, seizure or automatic return of the shipment may be mandated and may cause penalties against us, and prevent us from being able to ship internationally in the future. This is the reason we will not honor such requests. This request may also affect your ability to order with us in the future to avoid any problems once shipment is received in destination country; such as a refusal to pay duties, taxes or brokerage fees based on that request and forcing return or disposal of the package. In the event of a delay, please check with your local customs office or postal service since the package may be on hold, awaiting payment of any duties, taxes or brokerage fees assessed toward the value of the package. Some countries will provide an invoice following delivery of your package. Due to your country's import regulations, our products may not be available for purchase. Please check the shipping table above for your shipping location. We apologize for any inconvenience this may cause you. While we work hard to prevent our products from shipping to countries where documentation, ingredients or other are problematic or prohibited, we cannot guarantee that restrictions are up to date or a country's enforcement may have changed. We strongly recommend that you check with your local authorities for information on regulations that may affect your ability to receive your order. Unfortunately, we cannot issue a refund of any kind for orders seized or destroyed by Customs unless the order is returned back to our facility in an undamaged condition. A refund will be issued for the cost of the merchandise only for this return action; shipping costs cannot be reimbursed. Extra return shipping costs may be incurred for return shipping due to restrictions and if Sterling Minerals is billed for the return shipment, you will be responsible for that cost, also. If the scope of return is beyond regulations in your country, we are not liable for an undelivered package due to Customs requiring duties to be paid, addressee issues or any shipping problems. In the event of any addressee issue or refusal to pay duties, taxes or fees once package has reached your country, and causes a returned / rejected package, upon receipt at our facility, you will incur an additional 30% restock / processing fee once we hear from you. All additional costs to Sterling Minerals will offset the original purchase price, and at our discretion, any balance remaining will either be credited back to the original form of payment used OR a credit will be placed on your account toward a future purchase. All Insured packages shipped Internationally are tracked and a signature may be required. International packages are shipped with insurance against loss, damage or rifled contents for the value of the purchase. It will be up to you as the purchaser and recipient on any undelivered item, to attempt to locate and confirm items whereabouts with your local carrier or through your local customs office first before contacting us. Once it is determined the package is misplaced or missing after the required waiting period of 21 days, we will begin the process of inquiry with USPS on your behalf in the event of loss or theft. On Damaged items please contact us within 24 hours of receipt of package. This offer cannot be used when applying a credit toward a purchase. Purchase total does not include shipping costs. Product which qualified for FREE shipping or REDUCED International shipping that was returned for a credit, if the original order total should fall below the minimum requirements, shipping fees will then be assessed and deducted from your on-line credit. A customer selecting the incorrect shipping method for an order may have over paid. In the event this occurs, we will place a store credit for the overage on your account to be used toward the next purchase. On occasion shipping charges are miscalculated or customer chooses incorrectly based on package value for international shipping, and insufficient postage is collected. In the event this occurs, your order will have to be canceled followed by a request you re-enter your order so accurate shipping fees can be collected at the time of transaction.